Corporate law, international contracts, arbitration, agreements against double taxation, real estate, succession law. Sebastiano Floris obtained his baccalaureate diploma in Switzerland and graduated at the University of Cagliari, faculty of Law. After a period of legal practice in Milan, he started, in 1980, his profession as advisor in Bern opening the first consultancy firm specialized in Italian Law in Switzerland. Earning the trust of the Italian Embassy in Switzerland, to the firm was offered in 1991 a relevant convention approved by the Italian Ministry of Foreign Affairs, for the legal advising of the Embassy itself and of the Consular network. Member of different Board of Directors, he has business relations with entrepreneurs both in Italy and in Switzerland, and gives legal advice in both the countries for what concerns the formation of companies, investments, drawing up of contracts and the solutions of contractual disputes. 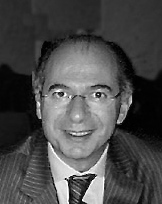 Together with Dr. Francesco Anchini, Notary and past Adviser of the Italian National Commission of Arbitrators, he wrote the Rules of the Arbitration Chamber of the Italian Chamber of Commerce for Switzerland (CCIS) and for Miami (Florida) as well as the rules of the CAIE (Italian Overseas Arbitration Center). He is a permanent member of the Commission of the CCIS Arbitration Chamber.